Today, we’re spring cleaning our bodies and mind by breathing! 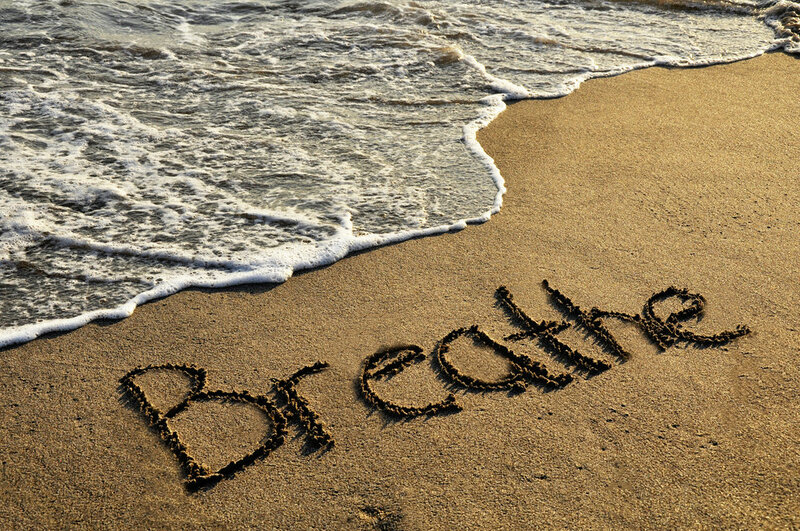 Breathing deeply has an immediate and calming affect on our nervous system. Our heart rate and blood pressure typically immediately decrease as a result. And, we usually feel more focused. Your spring cleaning challenge today is take time right now to take 3 deep breaths. Then, continue to practice a 3 deep breath stress reducing whenever you feel those symptoms of stress that we talked about on Sunday. Some of those symptoms were clenching your jaw, rubbing your shoulders, or feeling impatient, angry or anxious. The beauty of 3 deep breaths is that you can do them anywhere while you're on the go - driving a car, sitting in a meeting, or even while you're in the middle of a tense conversation. 1. When you take your deep breath, try to inhale for a count of 3, pause at the top your breath and then exhale for a count of 3. 2. If you’re able to, breathe into your diaphragm. If you're not sure if you're breathing into your belly (your diaphragm), place one hand on your stomach and one hand on your heart. When the lower hand moves, you're breathing into your diaphragm. When you're breathing into your lungs, your top hand will move. 3. Go ahead right now and give it a shot with your 3 deep breaths. Have a calm day today. See you tomorrow!